Barbiturates are class of drugs that have the effect of depressing, or slowing down, the functions of the central nervous system. They are often referred to as CNS depressants, and they share many qualities with the newer class of drugs, benzodiazepines. Barbiturates were originally designed to treat anxiety, to be used as aids to assist with withdrawal from alcohol in chronic alcoholics, to control seizures, to control muscle spasms, and to initiate sleep. Shorter-acting barbiturates, such as Pentothal (thiopental), Seconal (secobarbital), Nembutal (phenobarbital), Soneryl or Butisol (butabarbital), and Amytal (amobarbital). Medium-acting barbiturates, such as Lotusate (talbutal) and Fiorinal or Fioricet (butalbital). Long-acting barbiturates, such as Luminal (phenobarbital), Mebaral (mephobarbital), and Mebaral (methylphenobarbital). Some of the longer-acting barbiturates may have half-lives of greater than 24 hours, and this can be a particularly problematic issue as the ascertainable effects of the drug will wear off more quickly than the drug is eliminated from the body. This means that habitual users may use more of the drug while high levels of the drug remain in the system. This may lead to the increased potential for overdose. Moreover, the abuse of barbiturates most often occurs with abuse of other drugs, such as alcohol or narcotic painkillers. This leads to an even more serious potential for overdose on either drug. Physiological effects: These effects include sedation, drowsiness, slurred speech, impaired motor functioning, issues with gait and balance, depressed breathing, depressed heartbeat, changes in blood pressure, sweating, decreased body temperature, insomnia, and the potential for unconsciousness. Cognitive and psychological effects: These effects include disorientation, confusion, slowed thinking, issues with memory, mood swings, issues with anxiety, depression, suicidal thoughts, and the presence of hallucinations or delusions. Effects related to social functioning: These include decreased activity or interest in things that the person once enjoyed doing, isolation from social events, a marked decrease in social interactions, the development of disruptive behaviors that interfere with one’s relationships, and a sense of apathy regarding relationships with others. The use of barbiturates with other drugs will increase the potential for the severity and number of symptoms an individual may display. Barbiturates are also candidates to produce both abuse and physical dependence in individuals. Physical dependence consists of the symptoms of tolerance and withdrawal symptoms. Tolerance occurs when those taking barbiturates need increasingly higher doses or amounts of the barbiturate to produce the effects they experienced with lower doses previously. Individuals will need increasingly more of the drug to ward off withdrawal symptoms as well. Withdrawal symptoms are generally negative physical and psychological symptoms that occur when people either stop taking the drug abruptly or cut down the dosage abruptly. 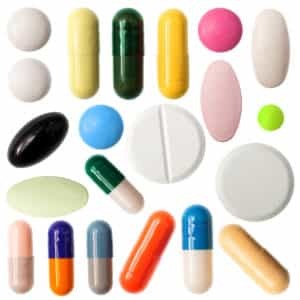 Withdrawal symptoms from barbiturates include excessive sweating, irritability, nausea, vomiting, restlessness, sleepiness, fever, chills, tremors, low blood pressure, irregular heartbeat, hallucinations, suicidal thoughts, depression and anxiety, and the potential to experience seizures, which can lead to fatal complications. If someone is suspected of abusing barbiturates, there are a number of serious concerns to consider. These drugs are habitually used with other substances, and a number of serious potential complications can occur. It is important to try and get the person into a professional treatment program as soon as possible due to the potential for the development of physical dependence, potentially fatal drug interactions, and potentially serious issues during the withdrawal process. Don’t attempt the conversation when you’re angry. You must communicate care and concern for the individual. Do not accuse the person of anything. Do not mention the words addiction or abuse. Ask questions about the person’s behavior. Ask why the person is acting in a particular manner. Discuss concerns. Only point out facts regarding the way the person is acting, the consequences of the actions, and factual information that suggests that there is an issue with drugs that is contributing to your concerns. Unlike what is seen in the movies and television shows, the confrontational approach is typically not going to be successful. Employing an understanding and empathetic viewpoint is generally far more effective in reaching the goal (see below). Never approach someone when the person is under the influence of drugs, unless it cannot be avoided. The goal is to get the person to agree to talk to an addiction treatment professional regarding the substance abuse. This goal might be better realized if you can somehow get another person involved in the conversation. Typically, someone who has recovered from drug addiction or an addiction treatment specialist can be helpful in discussing these issues.